Ostashewski, N., Brennan, A. & Martin, R. (2014). Blended learning and digital curation: A course activity design encouraging student engagement and developing critical analysis skills. In J. Viteli & M. Leikomaa (Eds. 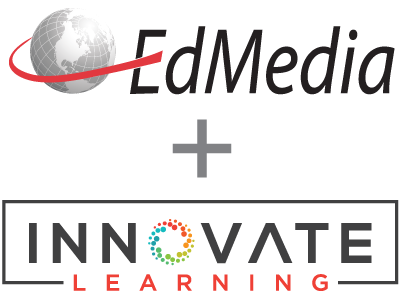 ), Proceedings of EdMedia 2014--World Conference on Educational Media and Technology . Tampere, Finland: Association for the Advancement of Computing in Education (AACE). Retrieved April 25, 2019 from https://www.learntechlib.org/primary/p/147792/. Baker, R. (2010). Pedagogies and Digital Content in the Australian School Sector Retrieved 29th April, 2010, from http://www.thelearningfederation.edu.au/verve/_resources/Pedagogies_Report.pdf Beagrie, N. (2008). Digital curation for science, digital libraries, and individuals. International Journal of Digital Curation, 1(1), 3-16. Campbell, C. (2010). Education students use of The Le@rning Federation’s digital curriculum resources. Paper presented at the 5th International LAMS and Learning Design Conference. Sydney, NSW, 9 December. Chen, W. & Looi, C. (2007). Incorporating online discussion in face to face classroom learning: A new blended learning approach. Australasian Journal of Educational Technology, 23 (3), 307-326. Gadot, R., & Levin, I. (2012). Digital Curation as learning activity. EDULEARN12 Proceedings, 6038-6045. Garrison, R. (2006). Online collaboration principles. Journal of Asynchronous Learning Networks, 10(1), 2534. Garrison, R., & Akyol, Z. (2013). Toward the development of a metacognition construct for communities of inquiry. The Internet and Higher Education, (17), 84-89. Good. R. (2012, August 9). Re: Why curation will transform education and learning: 10 key reasons [Weblog message]. Retrieved from http://www.masternewmedia.org/curation-for-education-and-learning/ Johnson, L., Adams Becker, S., Cummins, M., Freeman, A., Ifenthaler, D., and Vardaxis, N. (2013). Technology Outlook for Australian Tertiary Education 2013-2018: An NMC Horizon Project Regional Analysis. Austin, Texas: The New Media Consortium. Johnson, L., Adams, S., & Cummins, M. (2012). The NMC Horizon Report: 2012 Higher Education Edition. Retrieved from the New Media Consortium website: http://nmc.org/pdf/2012-horizon-report-HE.pdf Johnson, L., Adams Becker, S., Cummins, M., Estrada, V., Freeman, A., and Ludgate, H. (2013). NMC Horizon Report: 2013 Higher Education Edition. Austin, Texas: The New Media Consortium. Meyers, C., & Jones, T.B. (1993). Promoting Active Learning. Strategies for the College Classroom. San Francisco, CA: Jossey-Bass Inc., Publishers. Mihailidis, P., & Cohen, J. (2013). Exploring Curation as a core competency in digital and media literacy education. Journal Of Interactive Media In Education, 0(0). Miller, A. (2012). Five best practices for the flipped classroom. Edutopia. Retrieved from: http://www.edutopia.org/blog/flipped-classroom-best-practices-andrew-miller Ravitz, J., & Hoadley, C. (2005). Supporting change and scholarship through review of online resources in professional development settings. British journal of educational technology, 36(6), 957-974. Sharples, M., Taylor, J., & Vavoula, G. (2007). A theory of learning for the mobile age. In R. Andrews& C. Haythornthwaite (Eds. ), The Sage handbook of elearning research (pp. 221-247). London: Sage. Stanoevska-Slabeva, K., Sacco, V., & Giardina, M. (2012) Content Curation: a new form of Gatewatching for social media? Paper presented at The International Symposium on Online Journalism, Austin, TX. Verhaart, M. (2012, July). Curating digital content in teaching and learning using wiki technology. In Advanced Learning Technologies (ICALT), 2012 IEEE 12th International Conference on (pp. 191-193). IEEE. Wolff, A., & Mulholland, P. (2013, May). Curation, curation, curation. In Proceedings of the 3rd Narrative and Hypertext Workshop (P. 1). ACM.